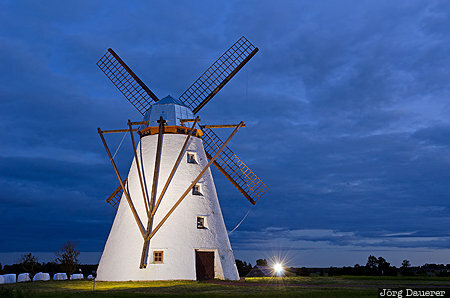 The flood-lit Vihula windmill near Vihula manor in Lahemaa National Park at the blue hour after sunset. Lahemaa National Park is in Lääne-Viru inn the north of the Baltic state Estonia. This photo was taken in the evening of a sunny day in June of 2014. This photo was taken with a digital camera.